One Room Challenge Week 5 Home Office Makeover - The Furniture Has Arrived! 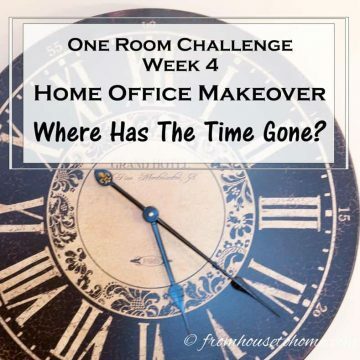 Home » Home Decor Ideas » Room Makeover Ideas » One Room Challenge » One Room Challenge Week 5 Home Office Makeover – The Furniture Has Arrived! In case you want a recap of where I started and how I got to this point, here are my updates for the previous weeks: Week 1, Week 2, Week 3, Week 4. I did get the long countertop on the wall behind my desk built. 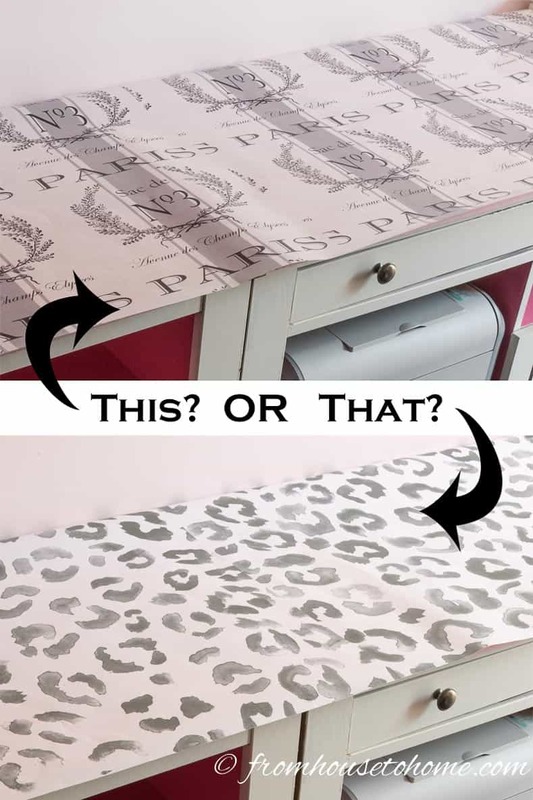 And after a bunch of time trying to decide between the leopard print and the Paris paper (and asking for input)…I decided to go with something totally different. 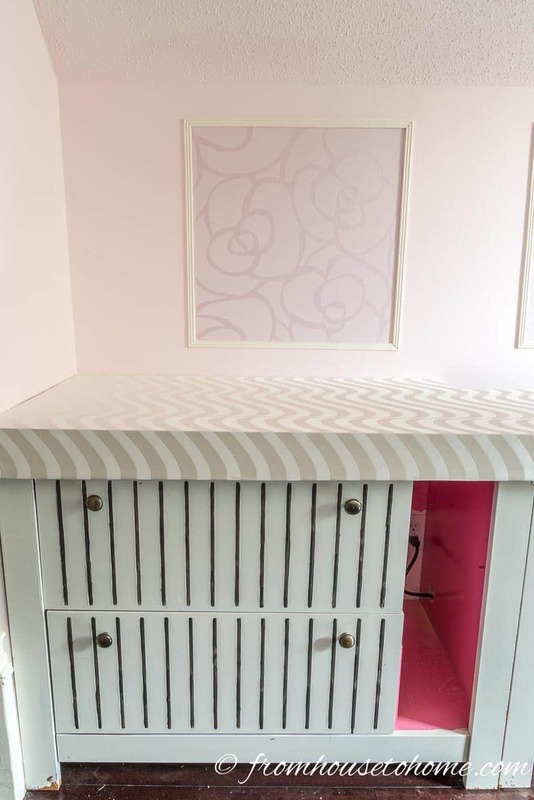 This off-white wavy stripe pattern is actually left-over wallpaper from my bedroom…and it just happens to go perfectly with the Ivory White paint color that I used on the cabinets and trim in my office. So I Mod-Podged it (is that a word?) 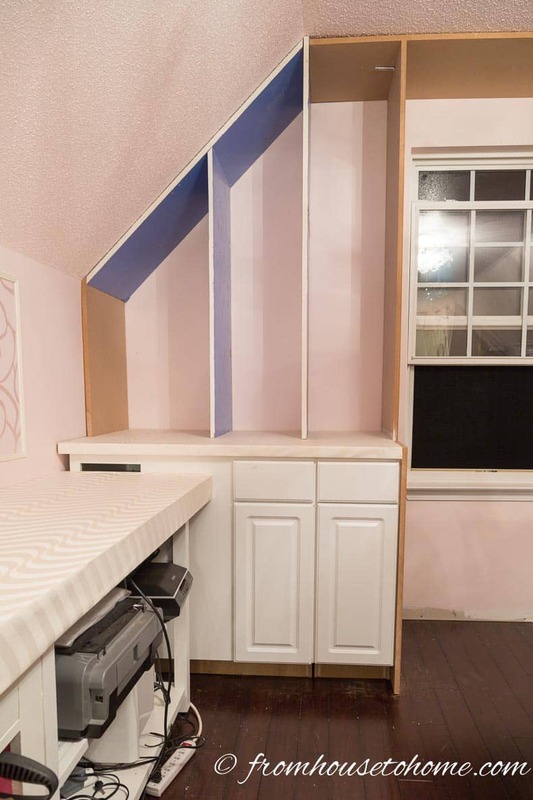 onto the tops of my countertops…and it is exactly what I was looking for. And I have to say the Mod Podge works very well at sealing…having already spilled something on the countertop, I put it to the test right away. The spill wiped right off without leaving any stains! 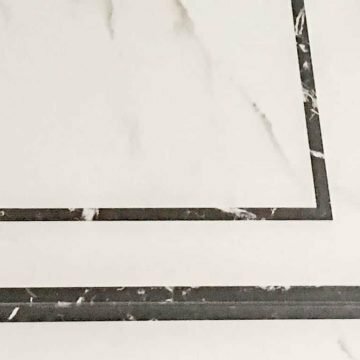 Click here to see the whole step-by-step process for doing this…a very inexpensive way to update countertops. Finally, I got the shelving frame built and I was able to re-use a lot of boards from another shelving unit that I took apart (hence the blue paint). I’m glad I’m finished with cutting all those angled boards…now I just have to cut the shelves and paint…it’s getting there! I am breathing a sigh of relief…it looks like everything I ordered for the room will be here in time! Woo hoo! All of the furniture arrived this week, and the cowhide rug is supposed to get here on Friday. So it definitely felt like Christmas this week with all the (very large) packages arriving…and now my living room is very crowded with furniture waiting to be moved up to the office. 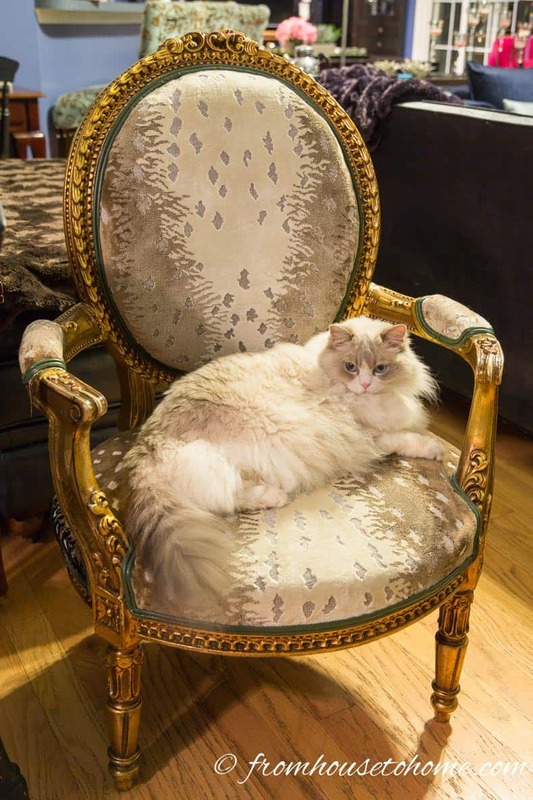 The antique chair (from OneKingsLane.com) was immediately claimed by one of my cats. 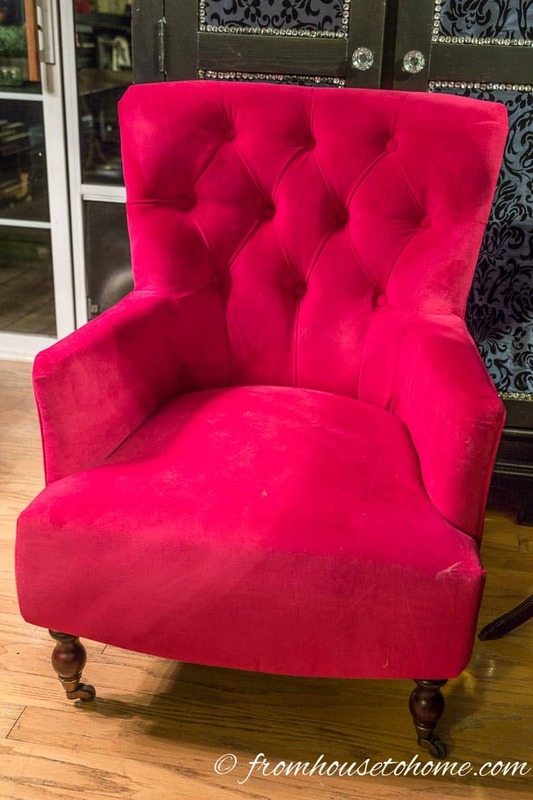 The two new fuchsia velvet chairs* (from World Market)...no, these were not part of the original design plan, but I fell in love with them (also another cat favorite as you can tell from the white cat hair on the seat). 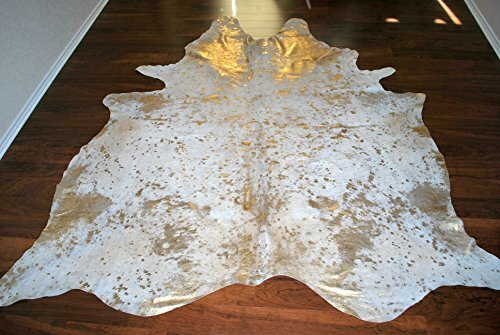 The cowhide rug (from amazon.com)* is scheduled to arrive on Friday…and that’s the last of the major pieces for the room…phew!! 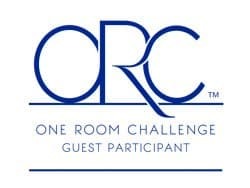 Don’t forget to go to Calling It Home to check out the makeovers of the featured design bloggers as well as all of the other guest participants. 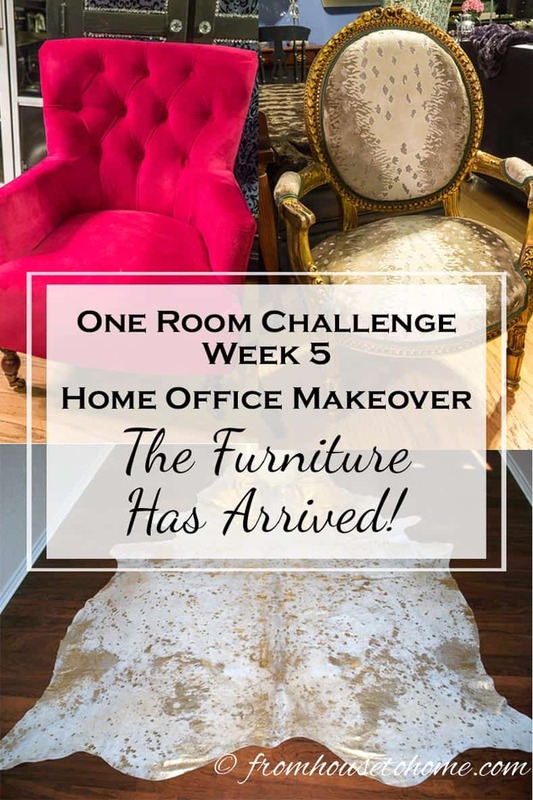 Have comments or questions about One Room Challenge Week 5 – Home Office Makeover: The Furniture Has Arrived! Tell us in the section below. 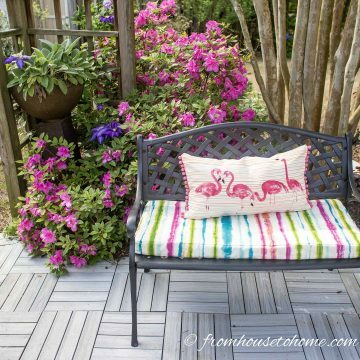 Love, love the chairs! Your choice for covering the counter is fantastic too. Thanks, Stacey! 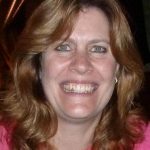 I saw lots of inspiring posts in your link party…thanks for hosting it! 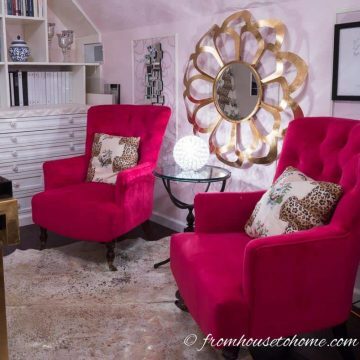 I have the same pink chair and LOVE it! I am loving all of your picks, I can’t wait to see it all together! Congrats on your progress. They say the pets always find the most comfortable spot in a home so looks like the antique chair was a good purchase! One week left…down to the wire…but looks like you have this thing under control. Thanks! It does seem like the cats end up with the best seats in the house 🙂 Definitely down to the wire…but hopefully will get it all done in time! Thanks, Laura! I love the chairs, too…and apparently so do my cats…Heading over to your link party now. I cannot wait to see the spectacular room you created. 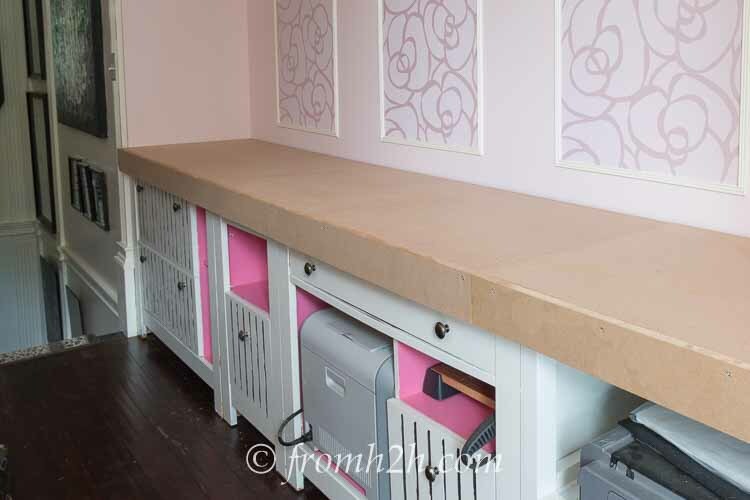 I really like the shelf idea and am going to try it on an old white 2 door cabinet that came from my grandparents house. Wow! 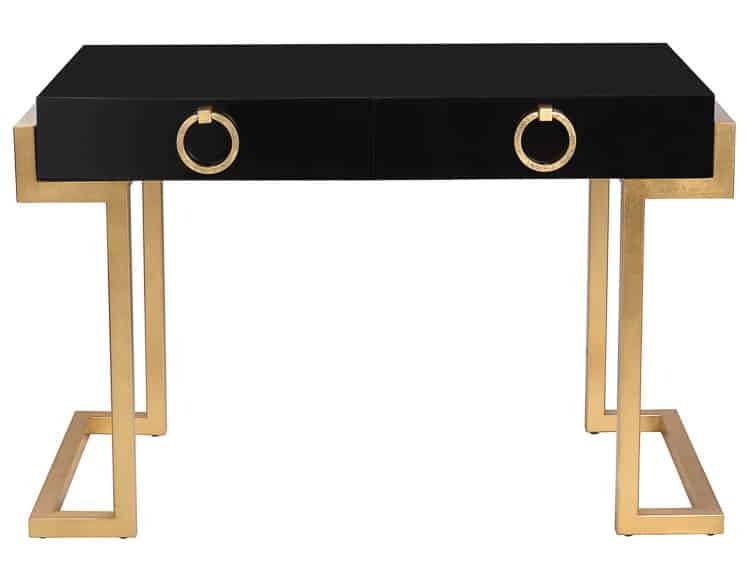 This is going to be a glam room for real! So happy all your pieces arrived! Hope the last piece will get here. 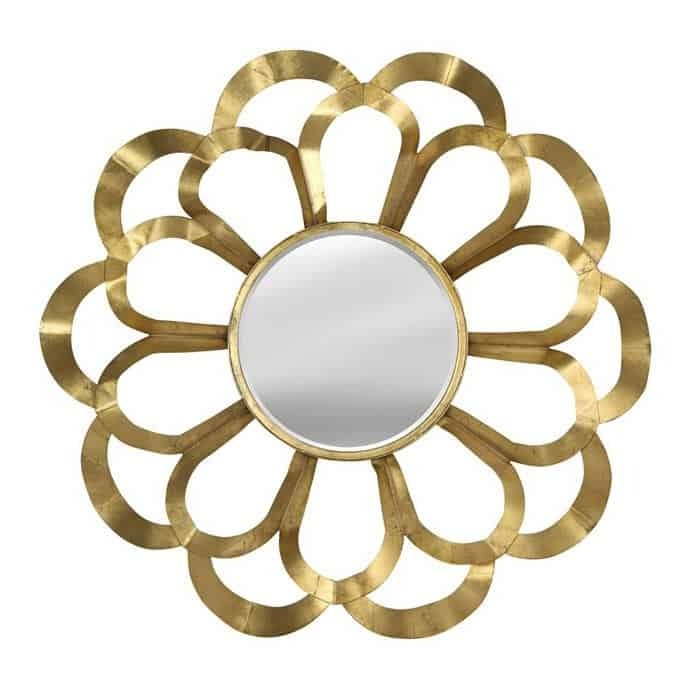 Wayfair and World Market are good places to shop! Changing the counter top for another decision is great, too. I am one who is known to change stuff until they feel just right to my liking.